With New Year's Eve right around the corner, don't forget to keep your pets in mind! Here are 5 Pet Safety Tips so that both you and your pets can safely ring in the new year! Many dogs and cats escape their homes during New Years Eve celebrations because they are scared of fireworks and other loud noises. Should your dog or cat become scared and bolt out the door, please be sure that he or she is wearing a collar, ID tag and has an up-to-date microchip. A combination of all three (collar, tag and microchip) will increase the chances of your pet being returned to you quickly if he or she gets away. Alcoholic beverages are very toxic to pets. Some guests will not know this and may leave a cup in a place where your pet can get to it. Be sure to let all guests know that alcoholic beverages, hot beverages and foods should be kept out of your pets reach at all times. Dogs, cats and even some pet rabbits may be overwhelmed and become anxious by a house full of guests, loud music and fireworks going off. Consider setting up a pet safe room where your pets can escape from holiday festivities. Create a safe place where they can retreat if they become to anxious. Supply your pets with soft music, a cozy bed, fresh water, and food or favorite dog/cat treat. Keep all of types of decorations up high and away from your pet. They can be toxic if eaten and can also get caught in the digestive track. Some pets may prefer to be outside, however, it’s really best if you do not allow your pet to be outdoors on New Year’s Eve. It is very common for fireworks, noise makers and other loud sounds to occur during this night which often scare pets and may result in them looking for a way to escape. All of us at Little Paws Pet Boutique want to say "Thank You" for your business this year. 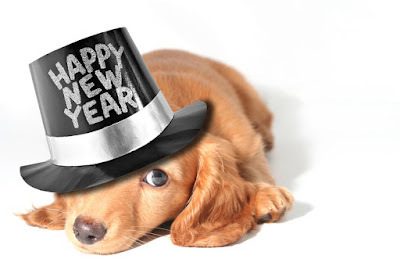 We look forward to next year and seeing more Happy Paws and Wagging Tails. Keep checking our website for New Products, Upcoming Events and Sales. Thanks for being "Pawsome" Customers! Saturday, December 3, 2016, 10:00 a.m. to 3:00 p.m.
Tanaka Farms in Irvine. We will be bringing our Best selling and holiday products for dogs, cats and pet parents. Due to the nature of the venue, we ask that no pets be brought to this event. Helpful Tip: If you are planning to buy a dog collar, dog apparel for your dog please make sure to have your dogs neck/chest/length measurements and know the approx weight of your dog. 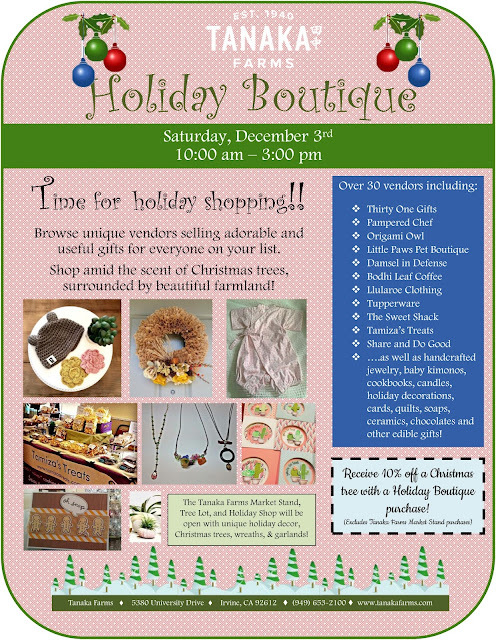 We will be bringing our Best selling and holiday products for dogs, cats, rabbits and pet parents. We will be in booth #68 come by and say to our Chief Dog Officer/model Gidget. Helpful Tip: If you are planning to buy a dog collar, dog apparel for your dog please make sure to have your dogs neck/chest/length measurements and know the approx weight of your dog.Thank you! 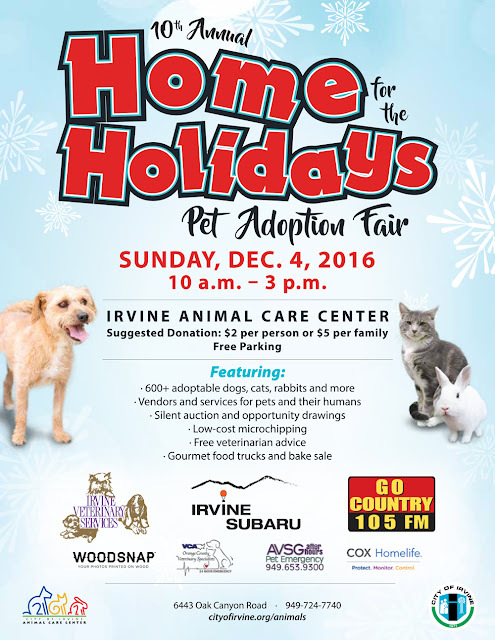 "Sponsored by the Irvine Animal Care Center, Home for the Holidays Pet Adoption Fair features more than 600 dogs, cats and rabbits available for adoption, along with pet-related vendors, a silent auction, raffle prizes, Ask-A-Vet and Ask-A-Trainer booths plus much more. We will be there supporting these adoptable pets by donating 25% of our sales to this incredible shelter!"